Click here for the latest TRU news. The Transfusion Research Unit (TRU) was established in 2008 to provide a research focus on the use of blood transfusions in different clinical settings, especially in the treatment of rare blood conditions. TRU has developed ongoing collaborations with various state, national and international partners. 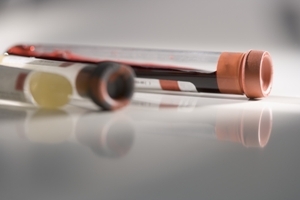 These include health departments, organisations, and institutions including the Victorian Department of Health and Human Services, the National Blood Authority, Australian Red Cross Blood Service, New Zealand Blood Service and industry partners. TRU works closely with clinical leaders to establish national clinical quality registries and other projects to collect information about conditions requiring major and/or complex transfusion support, and to better understand and improve outcomes for patients. Clinical experts from around Australia and New Zealand participate as local investigators and project steering committee members. TRU also has close links with governments, advisory groups, specialty Colleges and professional societies to ensure translation of research into policy and practice. TREATT: Trial to evaluate anti-fibrinolytic therapy in thrombocytopenia, a collaborative RCT with NHS Blood and Transplant that explores the efficacy and safety of tranexamic acid to limit bleeding in people with haematologic malignancies and low platelet counts. RATIONAL: Role of antibiotic therapy or IVIg on infections in haematology, a National Blood Authority funded trial ascertaining the safety and efficacy of oral antibiotics or intravenous immunoglobulin to reduce infection risk in adults with haematologic malignancies and low immunoglobulin levels. Data will inform a future large scale RCT. REDDS pilot: Red blood cell transfusion thresholds and QoL in myelodysplastic syndromes, laying important groundwork for a larger, randomised trial comparing haemoglobin thresholds for red cell transfusion in patients with transfusion-dependent myelodysplasia. DIAAMOND project: Diagnosis of Aplastic Anaemia, Management, and Outcomes utilising a National Dataset. A national registry-based clinical trial using a novel adaptive (Bayesian) study design, to investigate the benefit and costs of avatrombopag, a second-generation thrombopoietin receptor agonist, in addition to conventional immunosuppressive therapies, in Aplastic Anaemia. ITACS: IV iron for treatment of anaemia before cardiac surgery, in collaboration with The Alfred, this is an international RCT comparing efficacy, safety and cost effectiveness of preoperative intravenous iron in cardiac surgery patients with anaemia funded by the NHMRC and ANZCA. Life-threatening massive obstetric haemorrhage requiring rapid, high-volume blood transfusion: In collaboration with AMOSS, this is a prospective, population-based case control study across Australia and New Zealand investigating factors contributing to major obstetric haemorrhages and their management. AMARC: The Australasian Myeloma Research Consortium (AMaRC) aims to promote, facilitate and sponsor multi-centre investigator initiated trials and collaborative laboratory research projects in myeloma, acting as a trial centre supporting the participating sites in Australasia. APAC MRDR: Asia-Pacific (APAC) expansion of the Australia and New Zealand (ANZ) Myeloma and Related Diseases Registry (MRDR) to Korea, Singapore, Hong Kong and Taiwan using the existing infrastructure and project design. This expansion will be used to investigate a wide range of research questions, including relating to access to specialised myeloma care, variation in clinical practice, uptake of targeted therapies and participation in clinical trials. Data linkage: in collaboration with established large clinical registries (for trauma, intensive care and cardiac surgery) we use data from these sources as well as administrative datasets (such as hospital admissions) and link with laboratory information to develop models to predict and monitor blood use. Systematic reviews: in collaboration with Oxford's Systematic Reviews Initiative team we undertake systematic reviews to better understand the current evidence base for transfusion practice and identify evidence gaps for future research. New activities include exploration of the implementation of new national patient blood management guidelines. Australasian Leukaemia and Lymphoma Group: A/Prof Zoe McQuilten is a member of the ALLG Scientific Advisory Committee and chair of the Supportive Care Disease Group. Prof Erica Wood is a member of the Supportive Care Disease Group. Australian and New Zealand Society of Blood Transfusion: Prof Erica Wood is former president of ANZSBT and a member of the ANZSBT Research Committee. Mrs Helen Haysom is a member of the ANZSBT transfusion science standing committee. Mr Neil Waters is a member of the ANZSBT education standing committee. Blood Matters: Prof Erica Wood is a member of the Blood Matters advisory committee and Serious Transfusion Incident Reporting (STIR) expert group. International Collaboration for Transfusion Medicine Guidelines: ICTMG is an international network to develop evidence-based clinical guidelines to improve transfusion practice. Prof Erica Wood is a member of the ICTMG and its executive committee. International Society of Blood Transfusion: Many members of the TRU team are members of ISBT and participate in its working parties and activities. Prof Erica Wood is president-elect of ISBT. Transfusion Outcomes Research Collaborative (TORC): A partnership with the Australian Red Cross Blood Service. This collaboration, established in 2008, has been central to the design and progress of pioneering transfusion research in Australia. TORC is overseen by a multidisciplinary steering committee chaired by Professor Merrole Cole-Sinclair of St Vincent's Hospital, Melbourne. TORC's setting, combining access to transfusion medicine and research expertise, provides opportunities for medical specialists in training and future researchers to develop solid foundations in transfusion research methodologies. World Health Organization: Prof Erica Wood is a member of the WHO expert advisory panel on blood transfusion.